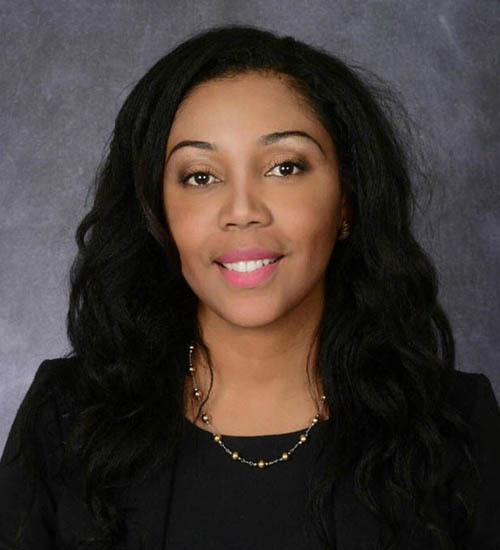 Vanessa Hall joined Castel Law in the year of 2015 as a marketing Manager. She had demonstrated devotion and enthusiasm toward achieving the goal of each and every clients of our law firm. She work hard to promote the lawyers reputation and hard work in the Commonwealth of Massachusetts and throughout the entire states where the clients are. She reaches out to all potential clients, business partners and individuals willing to facilitate business relationships with the law firm. Ms. Hall is also a Real Estate Sales agent at Castel Realty which is a brokerage firm of Castel. She is fluent in French, Spanish, and Haitian Creole. She has shown capacity to help clients with their real estate and mortgage concerns. Ms. Hall is highly experienced in client management, customer service, business management and marketing.